I heard she was to have a solo concert, any news or video on that? Just thought of something. We know Reni does scheduling for MomoClo and occasionally mans the phone at Stardust. What if she worked a junior help line? Someone like Towa could call, get useless advice, and feel much better! That's a great idea like mentor. I've been thinking this but I have a feeling Reni would be an excellent manager. Just a hunch. It was a joke in one of their official publications. They went so far as to print the fictional ticket. Thats extremely disappointing to me. I really love her solo songs. 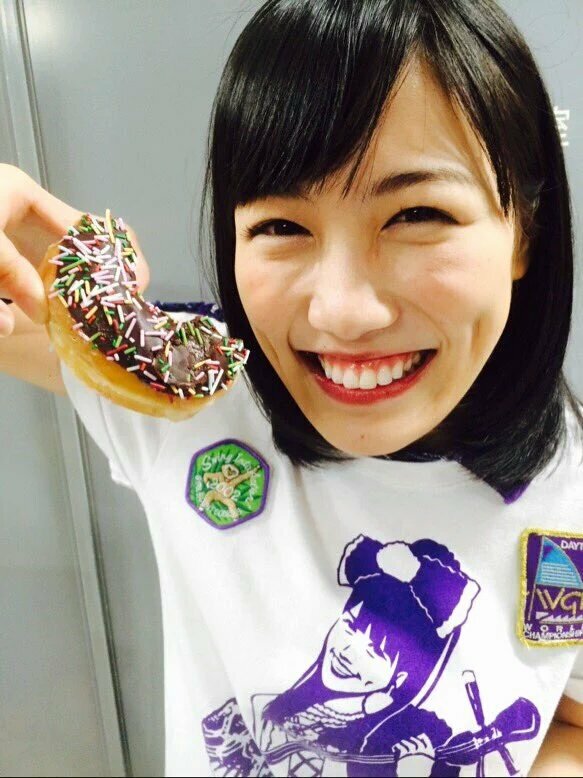 Happy Birthday Kanden Shoujo Takagi Reni! Reni-Chan, Reni-Chan, Happy Birthday Takagi Reni! I am still grateful and moved for that special performance after the Dec. 25th event. A little late, Happy Birthday Reni! A new complation video of Reni by "kyan2 ch"
1) Can someone translate the stick that Reni does from 7:29 - 8:44? 2) What is the gender and name of her cat from 13:19? Her cat's name is Zetto, and I think it's a male. Ok thanks. But can anyone translate the stick that Reni does from 7:29 - 8:44?